Last year our goal was $1,250 per pin. 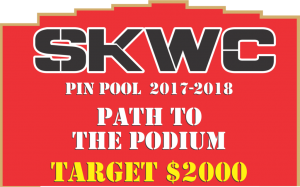 After smashing our original 2017-2018 goal of $1750, our new Path to the Podium Pin Pool Pledge Target is now $2000 per pin! LAST YEAR OUR GOAL WAS $1,250 PER PIN. THIS YEAR OUR GOAL IS $2,000 PER PIN! EVERY PLEDGE COUNTS AND YOUR PLEDGE WILL MAKE A DIFFERENCE. SUPPORT RUTGERS WRESTLING AND ALL NEW JERSEY AMATEUR WRESTLING BY MAKING A PLEDGE TODAY. The Rutgers Wrestling season is at the midpoint. The support of the fans in The RAC has been nothing short of incredible. Almost 7,000 fans attended the Iowa dual and 5,100 turned out on a frigid Sunday afternoon to cheer on the Scarlet Knights against #1 Ohio State. The program has come a long way from the attendance of 22 fans at the first home dual of the Goodale Era. One of the most important activities that the SKWC sponsors is a Regional Training Center (RTC). 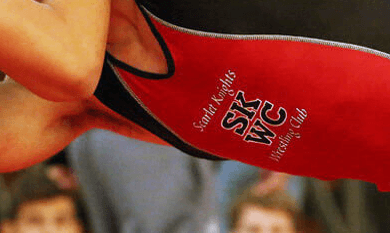 The SKWC subsidizes graduate athletes, “resident athletes”, in training for senior competition. These senior athletes can be training partners for our Rutgers wrestlers who are RTC eligible. The Hawkeye Wrestling Club has 11 resident athletes. The Ohio RTC has 7 resident athletes. The SKWC has 3 resident athletes and a resident coach. Most of our primary competition work with clubs that have at least double our roster of resident athletes. Simply put which is a better situation: wrestlers training with resident athletes who have been national champions and All Americans, or the wrestler that our top wrestler in each weight class beat in a wrestle off? A strong RTC is an essential part of having a successful college wrestling team. Our goal is to build a top RTC that will enable our wrestlers to train for Olympic, world, and national competitions and help Rutgers on The Path to The Podium at the NCAA Championships. The SKWC is a non-profit 501 (c) (3) corporation and relies on fundraising activities and donations to fund its mission. The Club’s most important fundraiser is the annual Pin Pool. The Pin Pool rules are simple. Participants pledge a fixed amount per pin. Any time a Rutgers wrestler scores a pin that will count on his permanent collegiate record it counts as a Pin Pool pin. Our wrestlers compete in both duals and open competitions over the course of the season. Falls by Rutgers wrestlers scored while in their redshirt year DO NOT count against this total. Periodic updates will be sent to PinPool members over the course of the season. This will be the 7th edition of the Pin Pool. Last year there were 49 pins. In the previous six years the average number of pins has been 42 and the median number of pins was 45. Pin Pool donations are tax deductible in accordance with IRS rules. 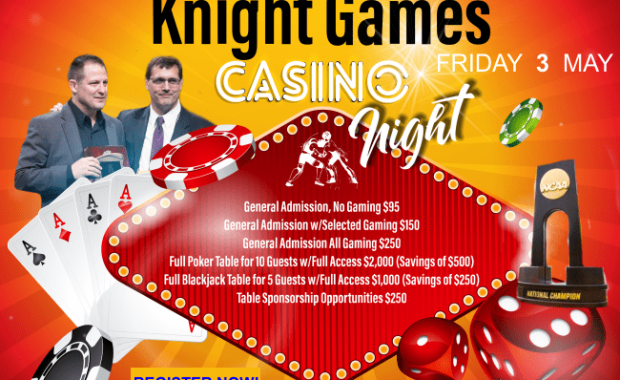 This year ALL participants will receive the SKWC newsletter KnightFalls and advance notice of socials. 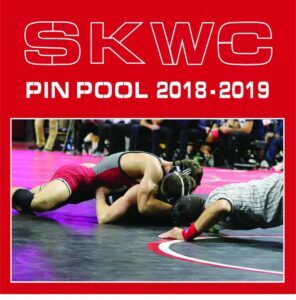 In addition to the above benefits those pledging $10 or more per pin will be able to attend an SKWC practice to watch our SKWC resident athletes prepare for senior competition. At the conclusion of the NCAA championships in March you will be sent a notice of the amount due calculated by multiplying the number of qualifiyng pins by your pledged amount per pin. A link that will enable you to pay online using a credit card will be included with the notice of amount due.